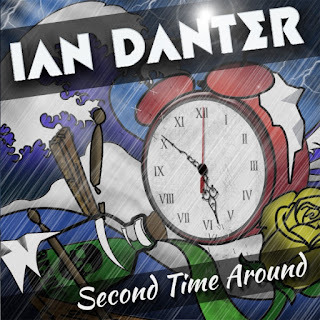 London, UK - Ian Danter is an incredibly talented multi- instrumentalist and songwriter who released his debut album "Prove You Wrong” to great critical acclaim in 2013 – he is also very well known as a sports broadcaster on talkSPORT Radio in the UK. Ian also plays drums with the longest running KISS tribute band Dressed To Kill. His musical influences include Dio, Rush, Foo Fighters, Wildhearts, Cheap Trick, Jellyfish, Pantera, Journey and Aerosmith, to name a few. Now much to the excitement of Ian's fans worldwide, his sophomore album titled “Second Time Around” will be released on Cherry Red Records in September 25, 2015! Says Ian, “The wonderful thing about this album for me is how truly unexpected it was. “You see, the huge confidence I gained from my debut album 'Prove You Wrong' suddenly reawakened my songwriting instincts - and here we are 2 years later with all these really really strong new tunes. Not only that, but also this new-found confidence led me to play and sing the whole lot on 'Second Time Around'. I knew I could do everything this time - and I did! Inspiration for music can take many forms. 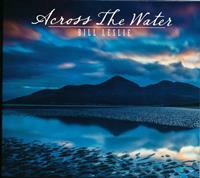 With the release of Bill Leslie's new album Across The Water the energy was gathered by taking a trip to Ireland. "Gaelic Ghost" is the subject of interest on this feature. Leslie and his band take you on a journey across the pond to another land, one with an ancient history, rolling green hills and beautiful sites and sounds. Yes, the Emerald Isle is given a wonderful tribute in this enchanting track. Tender notes from acoustic guitar lead the way as other instruments join in it becomes a celebration of life and all its glory. The flute is alluring as it can be when it mesmerizes and pulls you in like the tides of the ocean. "Gaelic Ghost" was the perfect selection from Bill to introduce you to his new release. Have yourself a good listen and let it sweep you away...enjoy the ride! A trip to Scotland and a concert by the contemporary Celtic group Nightnoise paved the way for my music genre today. I heard someone play the Celtic whistle on the side of the road near Inverness and fell in love with the haunting sound. No one in Raleigh could teach me how to play the whistle so I taught myself using books, cassettes and videotaped instructions. I bought a multi-track recorder and began laying guitar tracks. I blended guitar with whistle and piano tracks. Soon I built a full-fledged studio at my home. I co-founded a Celtic fusion band Bragh Adair featuring guitar, whistle, violin, piano, bass and percussion. We played for nearly four years and produced two wonderful albums "Grace in Stone" and "The Hunt" which can be purchased on this website. We had some outstanding concerts at Meymandi Hall, Grandfather Mountain, Johnston County, Cary Academy and Red Springs. It was very sad when the group featuring Mary Page Johnson and Kerry Johnson folded in 2002. They are terrific musicians. 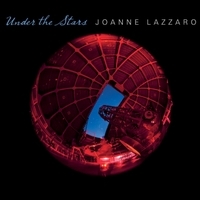 Joanne Lazzaro has released an album titled Under The Stars. The focus track to hear is "Path of the Departed Souls." 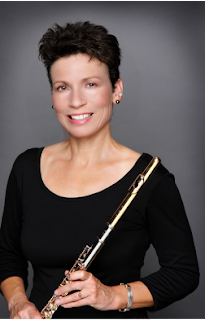 Joanne is an accomplished flute player and the new recording encompasses 12 tracks. This is the first one I have heard and it was recommended by the artist. It was a fine choice. "Path of the Departed Souls" is a beautiful and haunting piece. It makes you feel like you are really walking down a long path somewhere in the mountains above the clouds where spirits wander and memories of life abound. Let the flute be your Shaman and go deep inside yourself to find answers to questions you may have. I loved the track and felt it was soothing with a certain mystical flair that captured my attention and imagination. Give it a good listen and let it transport you to another place. I started taking flute lessons in public school, when I was 10 years old. No one else in my family was a musician, although I heard rumors that there was a famous gypsy violinist on my maternal grandfather's side. My high-school band director, Lee Harrington, was incredibly influential and supportive of me, both as a musician and a person - he's the main reason I continued on to play the flute for the rest of my life. While I took to classical flute very quickly, I soon became interested in world flutes, too. People would constantly bring me any wooden, bamboo or ceramic flute that they had found while traveling, and hand it to me - "Look - I found a flute for you!". I was also very interested in Native American art and culture, and taught myself beadwork and leather-tooling. I had never seen (or heard) a Native American flute until I spotted one hanging on a wall in a gift shop in Boulder, Colorado, in the early 1990s, while on a road trip across the USA. As soon as a played a few notes on it, I was completely hooked. Soon after, I heard (and bought) Carlos Nakai's album "Canyon Trilogy", which inspired me to become a much better NAF player. At that point, I developed a real appreciation for "simple" world flutes and the skill it takes to play each one really well. "Songs For The Dead", The Brand New Album From Norwegian Industrial / Alternative-Rock Band Magenta, To Be Released October 16th On Cleopatra Records! Los Angeles, CA - Norwegian Industrial /Alternative-Rock band, Magenta will unleash their long awaited new album “Songs For The Dead”, a true masterpiece of dark & savage beauty. Leading off the campaign for the album will be an official audio-video for the album’s first single “Ghost”, produced by Al Jorgenson of Ministry and featuring synths by Stephan Groth of Apoptygma Berzerk. Magenta was formed by Vilde Lockert Odden and Anders Odden in 1995. They have always taken inspiration from the wide range of music they like and describe their work as a soundtrack to a movie you have to create in your head. Anders Odden is well known in the international metal scene as guitarist for Norwegian black metal legends, Satyricon. His guitar prowness has also served well for Cadaver, Apoptygma Berzerk and Celtic Frost to name a few. But unlike any of these, Magenta is his main musical outlet as a composer/writer. "Songs For The Dead" was borne through deep tragedy. The Magenta family had been invited to stay at Ministry leader, Al Jourgensen’s 13th Planet Studios compound during the Xmas of 2012. They arrived the same day that Ministry guitarist Mike Scaccia left after finishing some recording. Then shortly after, on December 22nd, news reached them that Mike passed away. Everyone at Al’s compound was overwhelmed with grief. To try to get somewhat back to normal in the midst of this, they all decided to record something. The Magentas daugther, Regine, had written a song called "Ghost" in the castle of Duke Hank Von Hell (ex-Turbonegro) the Xmas before. They recorded this track with Al's magic touch and the idea for the album dedicated to those who have past on, was born. The album is like a requiem and is a new birth for Magenta. It is the first album Magenta have done that they feel represent them fully as the kind of musical entity they want. As Anders himself has said; "Magenta is my playground where I can be as diverse and melodic as I want to." I am one of those people that believe everything happens for a reason. Sometimes we do not know the answer until it is standing right in front of us and in some instances a series of events unfolds to provide the answers we seek. The reason I am relating to all of this is because of the story behind the music presented here. Paul and April Brown recently released a recording titled Agrelia's Castle Elders and Ancestors. Illness delivered many realizations to April Brown and her husband went on the journey with her. She found the flute and the rest is history or a part of what you are about to hear. 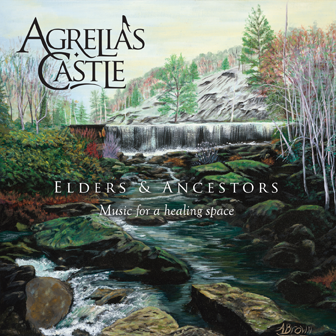 The title track "Elders and Ancestors" is an atmospheric journey that transports the listener to a peaceful space. The flute, keyboards and April's angelic vocals is heaven on earth. It is your choice to be guided by the music and in this case it comes naturally from beginning to end. Listen and see what it can do for you. The songs on ELDERS & ANCESTORS have grown from the artists’ journey together through the cancer landscape. They come from the desire to create peace, joy, and hope. Combining the sounds of vintage Fender Rhodes, B3, and warm soundbeds with hauntingly beautiful vocals, Native American Style Flutes, guitars, cello, and sitar, set over the soothing sounds of nature, the music is both ethereal and earthy, calming and uplifting, inviting the listener on a heart-filling journey into a healing space for release, relief, and relaxation. 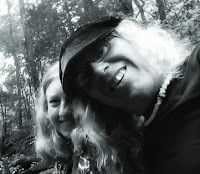 This offering to the world is Paul and April Brown’s way to give back to all of the wonderful teachers they have met along their journey, many of whom are no longer with us, who have shown them how to live, under difficult circumstances, with beauty and grace. This music is dedicated to all of them. This is not the slickest release you will hear this year but it certainly one of the best. The seamless blend of rock, grunge and metal makes for fantastic listening no matter what mood you are in. 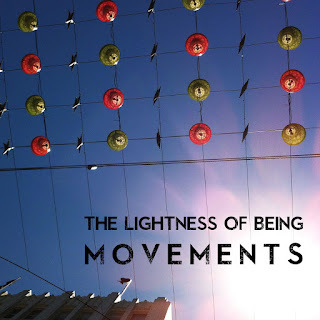 The Lightness of Being have already been backed by big names in the music industry – they have worked with The Breeders’ engineer Nick Trepka, played with up-and-coming blues rock band Graveltones, and have headlined venues around London. And with the release of ‘Movements’ they’re bound to turn even more heads in 2015. Rhett May is making waves with his dynamic blend of classic rock and Indian inspired grooves. His songs are dark and wistful with nods to Led Zeppelin and The Who but also culturally to India with sitar interspersed amongst driving guitar. 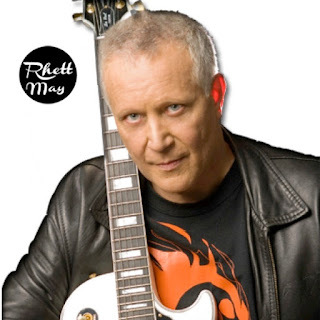 Rhett May is a captivating influence who cites John Lennon, Mick Jagger and Ray Davies amongst his influences. His latest single ‘The Violence of Ice’ is a rich blend of differing genres which make for a heady mix. Rhett May has dominion over all her tracks sonically, musically and lyrically. His poise and ease in his own skin in conveyed into his music and he is a pure pleasure to listen to. 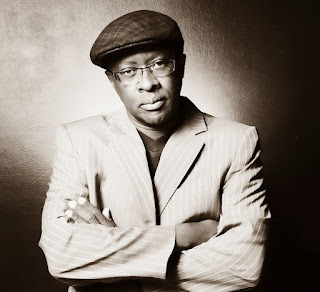 Don Laka promises to take Jazz lovers on a musical odyssey with his new take on classical Chopin classics. A multi platinum selling artist, accomplished classical guitarist and self taught pianist LAKA is known as one of the most innovative artists/producer in South Africa. The new album has spawned a single entitled Prelude No 20 (Izulu) which is a dynamic song featuring elements of classical jazz and afro music, creating a rich blend of differing genres and a perfect lead track to an already very strong album. Don Laka is heading over to the UK from South Africa to play a special show at The Half Moon Putney. Angelo Râpan has released his album Songs of Leaving and with that successfully weaved a tapestry of instrumental tales of the heart. "Remember" is the focus track and my initial thoughts are similar to what Will Ackerman said about the artist. He transfers his mind, body and soul through his fingers to make beautiful and moving music. Like a clear running stream of cool water ready for consumption he lets his fingers do all the talking. His message to us is to "Remember" who you are, where you have been and where you are going. Listen and you will be able to relate easily! 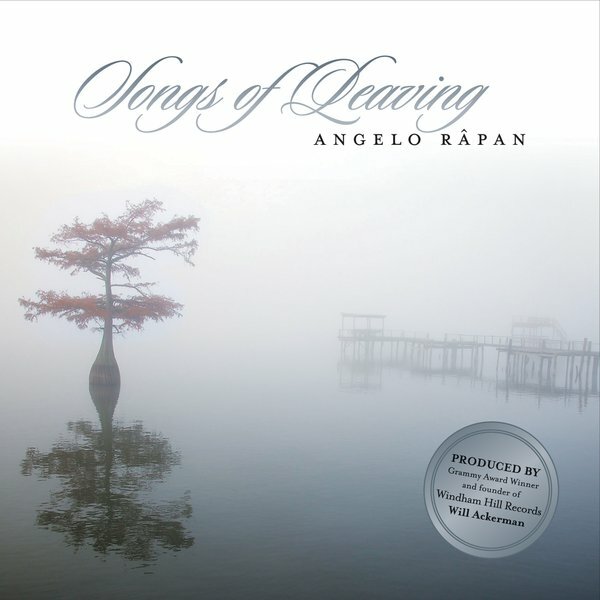 Angelo Râpan inhabits the smallest ecosystem known to musicians: The place where heart and mind are perfectly in balance. Angelo comes to us from years of training and discipline to a place where his skills are immediately and dramatically apparent. What makes him stand apart, however, is the passion of his composition and performance which force us to encounter him on an emotional level far beyond what mere skill can provide. Those skills are certainly breathtaking, and his composition unique, but ultimately it is what he has to tell us of a life deeply and richly lived that matters. 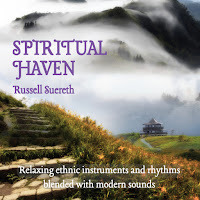 New York, NY-September 15, 2015-Russell Suereth released his maiden voyage into the new age world music genre this spring with Spiritual Haven. He created the Spiritual Haven album to provide a place where people can go to relax, and connect to their own spirit. Russell commented: I feel there’s a connection between our life today, and the vast stream of human existence that came before us. In many ways, our spirit can help us make that ancient connection. In this album, I focused on ancient and traditional instruments to set a tone. Then I sprinkled in modern instruments and synths to contrast old against new. My goal was to create music that connects to your spirit, and connects to that ancient existence. Based on the reception he has received for the release and all the positive reviews there is valid evidence that his final goal was accomplished and many souls were touched by the music. Spiritual Haven ushered in a new direction for Suereth. Previously he had released contemporary rock and pop music however he found that there were many elements and influences that pulled him towards creating this music. Spiritual Haven was composed and performed by Suereth with Assistant Production provided by Keith “MuzikMan” Hannaleck and final mastering by renowned engineer Tom Eaton, who works with Will Ackerman at the famous Imaginary Road Studios in Vermont where many artists go to record their music. Spiritual Haven combines relaxing and spiritual sounds with new age and world elements. The final result is an eclectic mix that is not easy to define specifically to one genre. This factor helps the artist to stand out amongst the many different artists creating similar music. Although the two main genres are dominant it has the ability to cross over and appeal to a wider audience. Music such as this can serve as a guide to a meditative state or just a nice soundtrack to casually relax to. Either way it is a spiritual or contemplative journey that provides so much joy and wonder from start to finish that you will feel compelled to return again and again for more listens. 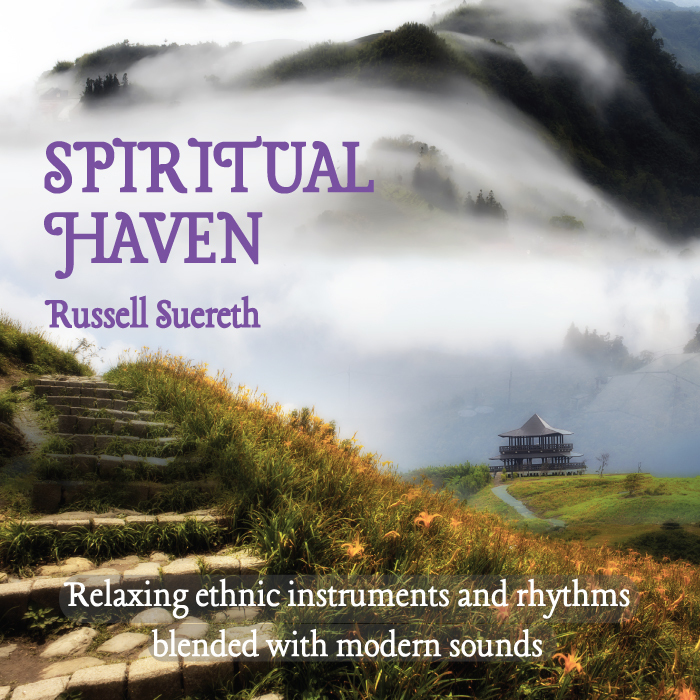 Russell Suereth is dedicated to his craft and has worked tirelessly to create awareness about Spiritual Haven. Once you listen to the recording you will understand the concept and reasoning behind the intent of this prolific release. 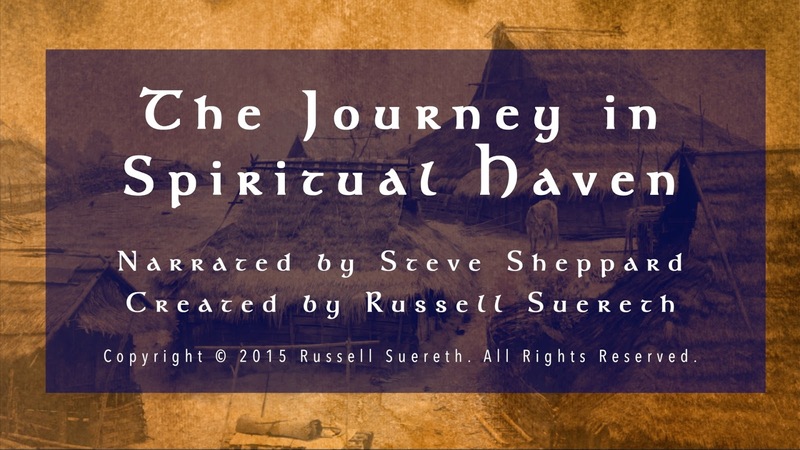 Listeners are anticipating more from Russell Suereth in the future and certainly he intends to provide more spiritual journeys soon but until then give Spiritual Haven your undivided attention, you will not regret it. 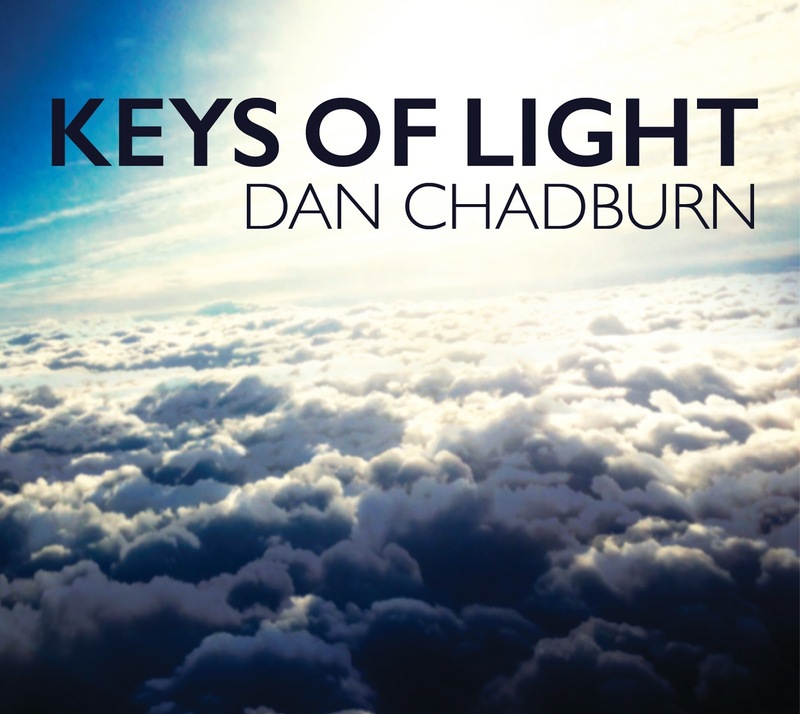 Dan Chadburn has created some gorgeous music on his new release Keys of Light. The title track is the focus of this feature. It pulls and tugs on your heartstrings, it is both beautiful and majestic as Chadburn's fingers caress the ivory keys. I first heard this after looking at pictures of myself and my daughter when she was little and it brought a river of tears. Although I felt saddened by her recent departure (another bird spreads their wings and leaves the nest), the music was therapeutic. For me this is called "feel then heal." So as pain is released and we move on and to become better people through listening to music that brings us closer to our creator and the people we love. Keith "MuzikMan" Hannaleck - 5/5 STARS! 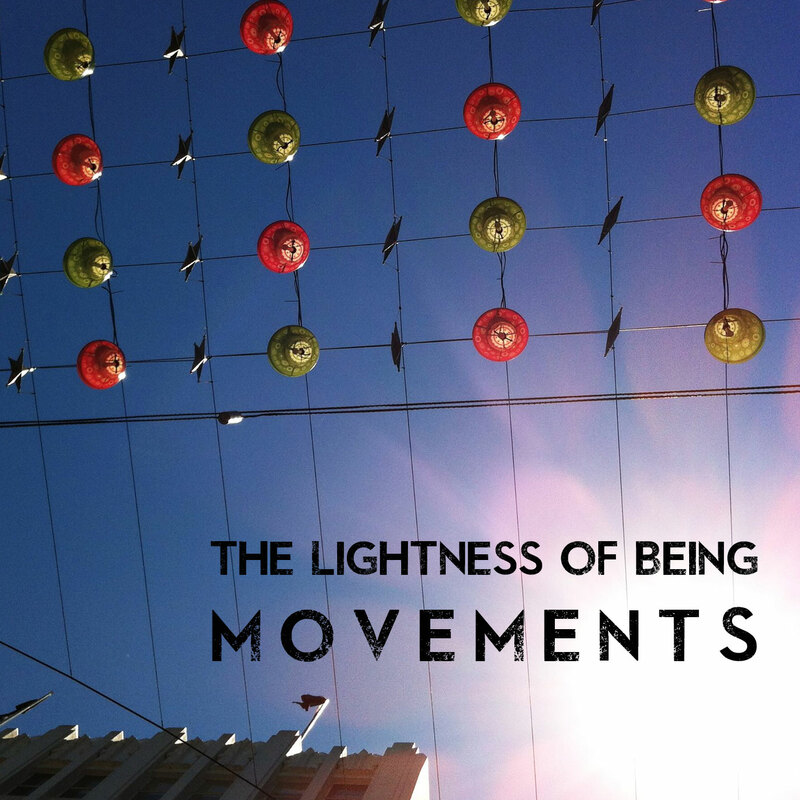 Sweeping melodies, resonating chords and rich textures … these are the trademarks of Dan Chadburn, a composer/pianist who invests the New Age / adult contemporary genre with a uniquely passionate sound. A native of Oregon, Dan began taking piano lessons when he was nine years old and continued through high school where he also served as the accompanist for the choral groups and stage plays. 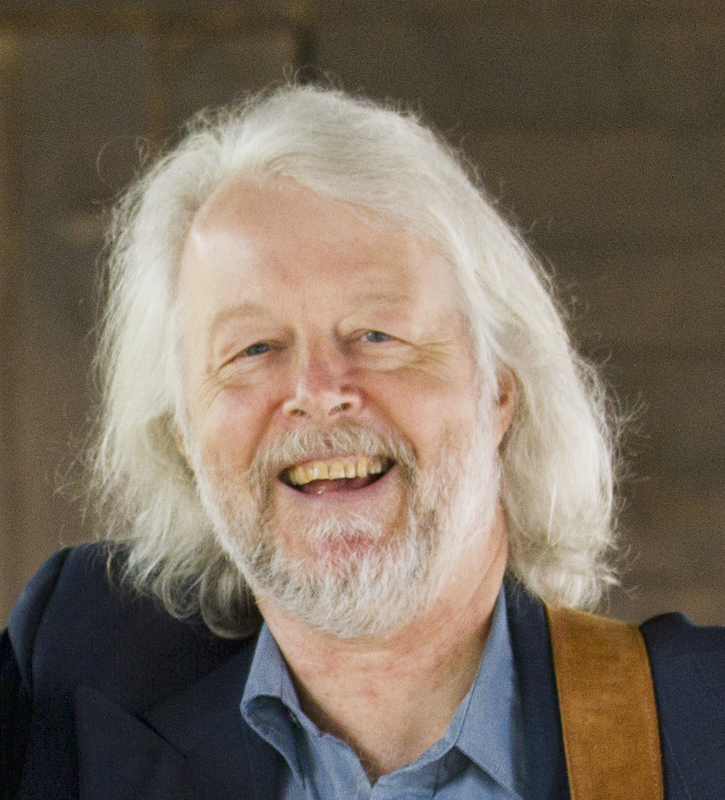 Several times in junior high and high school, he was selected as an Oregon Music Teacher's Association (O.M.T.A.) syllabus winner, which resulted in his performing in recitals on the state level. He went on to earn his Bachelor of Music degree in piano performance at Pacific Lutheran University, where he studied with Dr. Calvin Knapp. 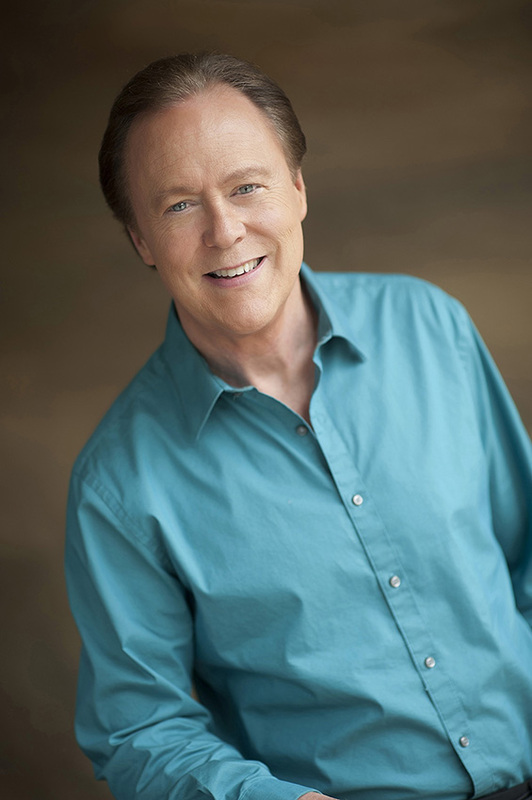 Following three national tours as a pianist and singer/songwriter, Chadburn moved to Los Angeles and enrolled in the Film Scoring Program at UCLA. Soon he was scoring for television and working as a session musician. Wanting to further expand his musical vision, Dan moved to London and studied ElectroAcoustic Composition under two pioneers in the field, Denis Smalley and Simon Emmerson. “I was very grateful for the opportunity to learn from these two masters in the genre and grow as a composer. This was a non-traditional form of composition that some would say was on the outskirts of avant-garde. In this genre, traditional instruments and melody are frequently absent. My primary focus was to record odd sounds, transform them with audio processing, and insert them into symphonic works. For one piece, 'Dreams,' I recorded and altered sounds made by various kitchen items such as jelly beans dropped into a bowl, spatulas hitting cake pans, water shaken in a jar, portable oven timers, etc., ultimately creating a surreal collage of sound to represent what one might hear and see after falling asleep." Chadburn earned his Masters of Music degree in ElectroAcoustic Composition from London’s City University. Chadburn’s performance venues have included Carnegie Hall in New York City, Symphony Hall in Boston and The Kennedy Center in Washington, DC. Additionally, his choral compositions have been recorded and performed in the Concert Hall of The Kennedy Center. After moving to the Washington, DC, area, Chadburn recorded hundreds of improvisational piano pieces which led to his first album, solo piano. The Washington Area Music Association nominated the album for “Best New Age Recording” in the WAMA Awards, and Chadburn was nominated for “Best New Age Instrumentalist.” His second recording, Reflections, included other musicians on viola, French horn, flute and English horn, plus on one track the singing of Tom Nichols, Chadburn’s husband, longtime musical partner and producer. 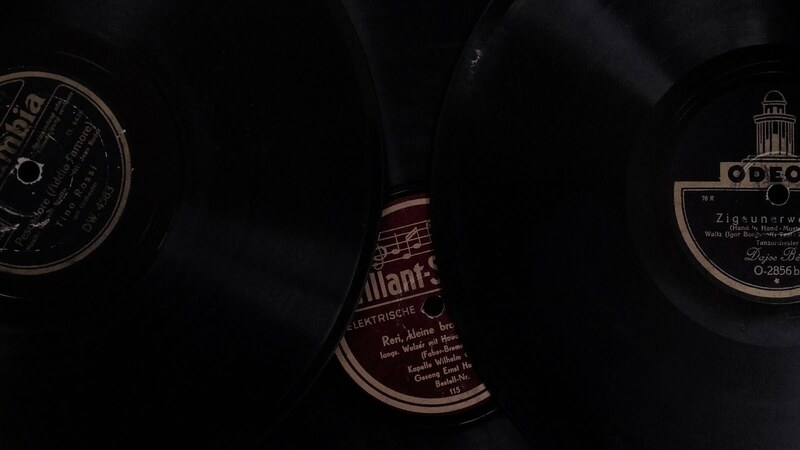 Chadburn's Nocturnes, again with additional instrumentation, earned a WAMA nomination for "Best Classical Recording" while Chadburn was nominated as "Best Classical Instrumentalist." Chadburn has been featured (alongside other pianists such as Suzanne Ciani, Spencer Brewer and Robin Spielberg) on several compilation recordings produced for charitable causes, including The Heart Aid Project which benefited the victims of the 9/11 tragedy and their families. Among Chadburn’s other special projects was a single, “Promise of Hope,” he wrote and recorded for a philanthropic program run by Choice Hotels International and benefiting The Boys & Girls Clubs of Greater Washington and Metropolitan Baltimore. With Nocturnes Chadburn continued to donate to worthwhile causes. Proceeds from “Peter’s Theme” on that album are donated to The Peter Fox Project which in turn benefits the Sitar Arts Center in Washington, an after-school youth organization for the arts. In addition, the tune “Anne’s Lullaby” benefits The National Family Resiliency Center “to preserve a sense of family and foster healthy relationships.” In both 2014 and 2015, Chadburn and his husband, Tom Nichols, performed benefit concerts to raise funds for the Florence Area Humane Society (a “no kill” shelter) in Oregon. Chadburn is a classically-trained pianist who found he enjoyed improvisational creations as much as playing traditional repertoire. Now he uses improvisation to compose most of his material on piano (and occasionally on electronic keyboards). For the albums, Nocturnes and Reflections (which also feature additional instruments), Chadburn created the arrangements and scored the parts played by the other musicians. 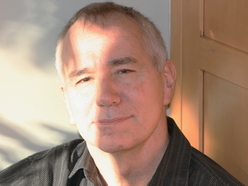 For the album, Keys of Light, Chadburn included one piano improvisation on James Pankow's "Colour My World," while composing and orchestrating the remainder of the album, performing it entirely himself using a Yamaha 7' grand piano, a Kurzweil PC3K8 synthesizer, and East West Symphonic Orchestra (sound library). 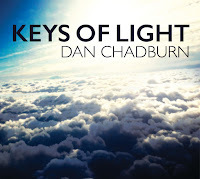 Keys of Light is Dan Chadburn’s fifth album. 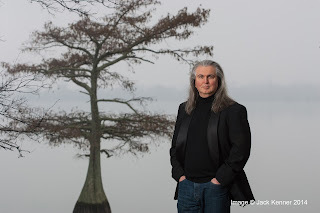 Keys of Light, solo piano, Reflections, Nocturnes and Whispers the Falling Snow are available at his website (DanChadburn.com) and as CDs and digital downloads at a variety of online sales sites including CDbaby, Amazon, iTunes, eMusic and many others. Nocturnes reached #8 on the Top 100 Zone Music Reporter chart (measuring radio airplay worldwide) and stayed on the chart for nine months. Whispers the Falling Snow debuted at #7, staying on the ZMR Top 100 chart for multiple months. Whispers the Falling Snow was nominated as ZMR's Top Solo Piano album of 2014. Additionally, Reviews New Age selected it as one of the Top 10 holiday recordings worldwide for 2014. Both Nocturnes and Whispers the Falling Snow were nominated as best recordings ("Piano with Instrumentation" and "Solo Piano" categories, respectively) for the One World Music Awards in June, 2015. Over the years Chadburn has been inspired by the music of John Williams, Aaron Copland, Leonard Bernstein, Sergei Rachmaninoff, Claude Debussy, Frederic Chopin, Sergei Prokofiev, Itzhak Perlman, Vladimir Ashkenazy, John Barry, George Winston, Mary Ann Redmond, and Tom Nichols. 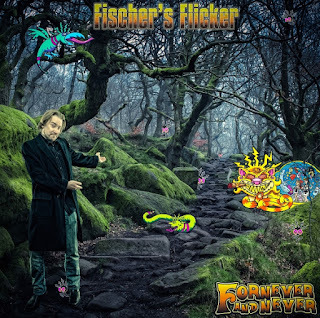 Chicago, IL - From the first moment of “Black Mariah,” the lead-off track to the sophomore LP from Fischer's Flicker titled “Fornever and Never”, it's clear that bandleader Scott Fischer is up to something interesting. The grandiose piano, the nimble guitars, the pounding drums - it sounds a bit like a throwback to 70's pop excess. Once the vocals come in, Fischer's decidedly modern pop sensibilities pull everything together in an unexpected way. If “Black Mariah” is an impressive opening statement, the second track, “Dead To Me”, is the unmistakable sound of a band winning you over. The track's syncopated bounce and Fischer's languid drawl show a genuine love for the piano men of yore, simultaneously creating something as familiar as it is fresh. “Halo of Flies” opens with an eerie, dissonant guitar riff followed by downright pummeling guitars. The Alice Cooper-penned rocker blooms with droning bass, psychedelic guitar effects and Fischer's voice taking on a sneer that is undeniably faithful to the source. “Mrs. Rogers (& the Land of Make-Believe)” is an unnerving whirling dervish with Middle Eastern roots, “Dancin' Girl” is a smooth R&B jam, complete with a sultry guitar solo, and the title track shows off pianistic prowess before exploding into a Bat Out Of Hell-styled multi-movement epic. But somehow - despite the completion of such an ambitious album, one showing a depth and range of musicality most artists will never achieve - Fischer still isn't satisfied. “We're actually already halfway complete with the album that will come out next, and we're aiming to have that one released within 12 months,” he said. Scott Fischer's brain is like a vast musical amusement park and he wants to take us all on a thrilling ride. Fischer's Flicker is the latest brainchild of Fischer, a Chicago native, and marks the next step in a musical evolution that began over 15 years ago. 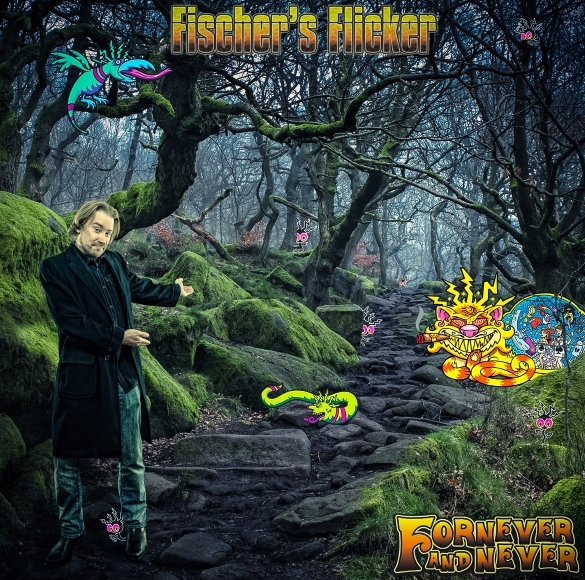 While Fischer's Flicker’s debut album, “Katmandon't” is more mature sounding than Fischer's previous efforts, it stays true to the core of Fischer's music with big melodies and ambitious composition. Fischer’s earlier projects include Deja Voo Doo and it’s ambitious release “Carpe P.M.: Honor Comes Only After Humility”. Notably, Deja Voo Doo performed live at Zappening 2000 (a tribute festival to Frank Zappa). After several years of writing and performing, Deja Voo Doo evolved into Powderhouse and then into Babaganoo. After a hiatus, during which Fischer honed his skills while touring on the corporate/cover band circuit which included a stint in The Virgin Islands and large profile shows at Summerfest and Vince Lombardi Awards, Fischer returned to his passion for original composition and formed Fischer's Flicker. The band is comprised of Deja Voo Doo alumni including Mario Licciardi and Tim Kubiak on guitar, Turan Yon on bass and Tim Gavin on drums. 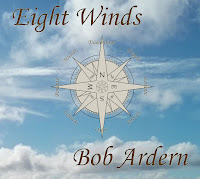 Bob Ardern's forthcoming album Eight Winds is due in mid November. We are treated to a sneak peak of what to expect with the beautiful track "Zephyr." His acoustic guitar is simply sublime and crystal clear on the track. This was indeed a good choice by the artist to give listeners a taste of what is in store. His guitar picking style weaves into your mind, body and soul and leaves you wanting for more. Mission accomplished! 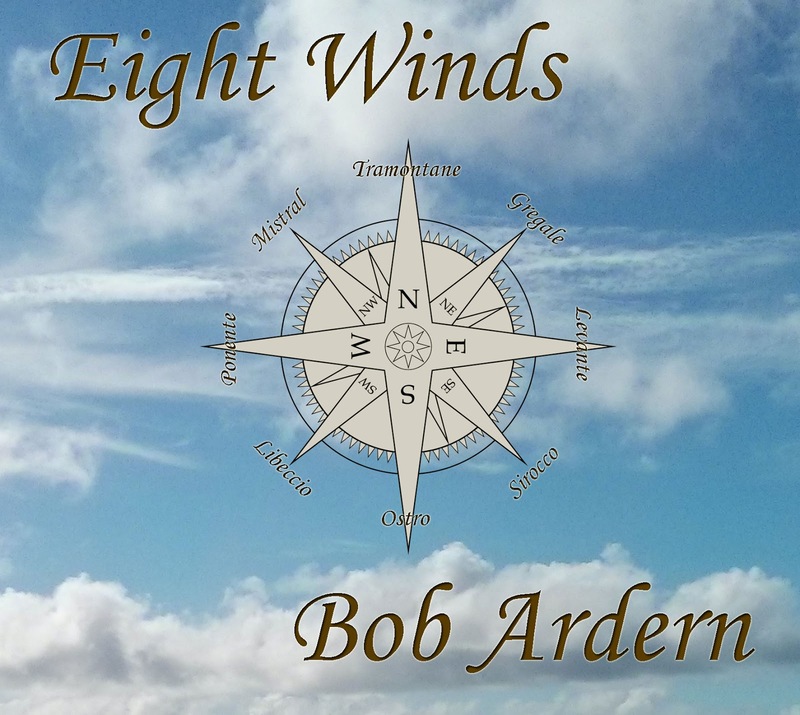 Bob Ardern combines masterful finger-style guitar playing with melodies that conjure vivid images and pulls it all together into a captivating sound. The music delights and excites while it soothes and entertains. With influences from Celtic, Classical and Jazz, Bob's guitar stylings take the listener on a spectral journey of emotions. The inspirations for Bob's music come from diverse sources such as a drought in St. Lucia, the purring of a friendly cat, an on-line computer repair and a light-hearted ice dance across a frozen pond. Whether actively listening or playing the music in the background, lovers of acoustic guitar will find this music appealing as a means to de-stress from the pressures of our modern lives. 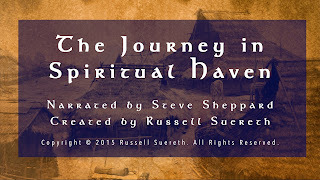 September 1, 2015-New York, NY-With the release of Spiritual Haven this year recording artist Russell Suereth broke new ground. Entering the world of new age and world music was big change for the former rock and pop artist. That step has brought the artist to new heights and success in the world of recordings. The album features 12 diverse and moving tracks that engage the senses and allow you look inward and find yourself in another time and place. Russell Commented: I wanted to provide my listeners with something that would really help them see the story in the album. I had done a few radio programs about the journey inside the album, but I didn’t feel that it really hit home for my listeners. So along those lines he decided to engage his audience and potential listeners through a video storybook. Russell wanted to have the story narrated and felt having another voice tell the story was more appropriate. A friend suggested Steve Sheppard of One World Music and things began to take shape. So now with the video released listeners are invited to a guided tour through what the album has to offer. In essence the video provides a holistic spiritual voyage for the listener while expanding the breadth of the new age experience. And finally, it combines the original music of the Spiritual Haven album, and the story of the journey inside, to form a creative work that is new and memorable. Music, spiritual destinations, meditation and new journeys are all part of the Spiritual Haven experience and with the release of the narrated video any one appreciative of those healing practices will find enjoyment viewing the video stream. Hawkwind Co-Founder Nik Turner Pilots A New Video From His Groundbreaking New Album Space Fusion Odyssey! Los Angeles, CA - “I have traveled far from another place…come to learn from your race…” Nik Turner intones at the outset of “Adjust The Future,” the lead off track from his forthcoming space-rock/jazz-fusion magnum opus Space Fusion Odyssey, scheduled for launch on October 16. The track, like the album as a whole, features Turner’s complex, jazzy improvisations on saxophone with support provided by an insanely talented and diverse group of musicians including Steve Hillage and Gilli Smyth of ‘70s prog legends Gong as well as Chris Poland of metal giant Megadeth and Jürgen Engler of German industrial band Die Krupps. The video mixes footage of Turner with some mindblowing experimental video manipulations that harken back to the psychedelic backdrops Turner’s former band Hawkwind would frequently perform in front of. Space Fusion Odyssey is without a doubt the most musically ambitious undertaking Turner has ever attempted, stretching his already prodigious saxophone and flute playing skills to create instrumental soundscapes that entrance, confound, and stimulate all at the same time! An incredible crew of fellow musicians, dubbed the Interplanetary Arkestra in a nod to the great Sun Ra, help bring Turner’s vision to life such as legendary jazz drummer Billy Cobham, Doors’ guitarist Robby Krieger, Steve Hillage of Gong, Soft Machine’s John Etheridge, Amon Düül II founder John Weinzierl and many more! The CD comes packaged in a special mini-LP gatefold with a 12-panel poster while the vinyl comes in a deluxe 12-panel poster fold-up jacket and a gorgeous starbust colored vinyl! In addition, this year will see the publication of The Spirit Of Hawkwind 1969-1976, the definitive biography of Hawkwind’s early years as told through the eyes of Nik Turner and written by music historian Dave Thompson. The hardcover book contains 300 pages of rare and unseen photos, a comprehensive discography, and Nik’s 1975 US tour diary PLUS reproductions of the 1971 “Galactic Tarot” card deck (designed by celebrated graphic designer Barney Bubbles), the 1972 “Sonic Attack” 7” promo one-sided single in a cloth bag, and the 1971 “In Search Of Space” 6x9 20-page promotional booklet! It’s a feast for Hawkwind fans everywhere!